Calling all Paw Patrol fans, this would make a great holiday gift for any Paw Patrol fan on your shopping list! 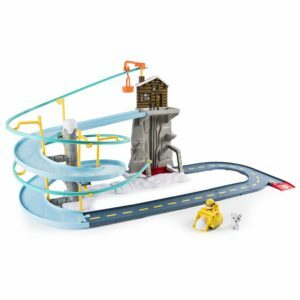 You can get the Paw Patrol Roll Patrol – Rubble’s Mountain Rescue Track Set for only $19.98! You will be saving 50% on this purchase because this set is normally $39.99! Make sure that you grab this deal soon on Amazon because the prices can change at anytime! CLICK HERE TO ORDER the Paw Patrol Roll Patrol – Rubble’s Mountain Rescue Track Set for only $19.98 today!